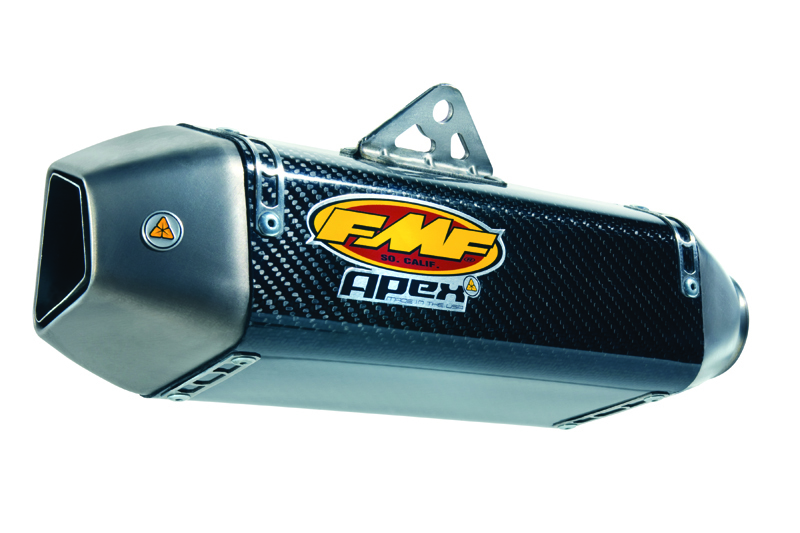 FMF Apex Mufflers are computer designed then dyno and rider tested for every application to be the most advanced mufflers on the market. All Apex mufflers feature a Diamond shape developed to incorporate with today's aggressive and streamlined sportbike body lines. An integrated fit design is used to give maximum cornering clearance at extreme lean angles. The mufflers shape mirrors canister shape for a great look while enabling a high outflow rate. Mufflers are hand crafted in the USA of aerospace quality carbon fiber and titanium.